One fighter bows out from the upcoming UFC 129 event, as Brian Foster withdraws from his match due to brain hemorrhage. 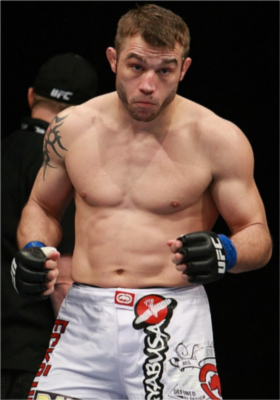 Due to brain hemorrhage, UFC welterweight fighter – Brian Foster – was forced to withdraw from his UFC 129 bout against Sean Pierson. The fighter announced his condition via his official Twitter account. Based on Brian Foster’s Tweet, his pre-fight MRI scan revealed the brain hemorrhage. The UFC is yet to release an official statement about the issue, and it is still unknown whether the promotion will search for a replacement. UFC 129 will headline a welterweight title bout between George St-Pierre and Jake Shields on April 30. The event will also feature a featherweight title match pitting Jose Aldo and Mark Hominick. UFC 129: GSP vs Shields will take place in Rogers Centre in Toronto, Canada and will air live on pay-per-view.